aufgearbeitete von Gert Redlich im Okt. 2017 - Das Tonbandgerät war in den USA über Nacht anerkannt und "alle" wollten eines haben. Zuvor muß man wissen, daß es mehrere Ansätze oder Anläufe gegeben hatte, das Magnet-Tonband als Speichermedium hoffähig zu machen, die aber gescheitert waren. Den deutschen Geräten von Jack Mullin traute man nicht und die beiden Wettbewerber BRUSH und RANGER waren einfach nur schlecht, sagte ein Amerikaner. Brush baute auf dem Wissen von 1935 auf und Colonell Ranger hatte zwar ein AEG K4 (oder sogar ein K2) ergattert, aber ohne die HF Vormagnetisierung und nur Jack Mullin hatte diese speziellen Schaltpläne in Bad Nauheim abfotografiert und als er Ende 1945 wieder zuhause angekommen war, hatte er sie nachgebaut (sagte er). Das schienen aber die anderen beiden nicht zu wissen und Mullinghate es dem Colonell Ranger nie verraten. Ein Zeitzeuge aus USA sprach von einer miserablen Qualität der Ranger und Brush Geräte bei den vergleichenden Vorführungen bei den Rundfunkleuten in New York. Dorthin war Jack Mullin aber nie eingeladen worden. Jack Mullin führte seine Magnetophones vor den NAB Fachleuten vor und erntete Jubel und Applaus. Und Bing Crosby machte das Geld locker, für die ersten 20 Stück, die Ampex produzieren sollte. Unter diesem Aspekt sollte man dne nachfolgendn Artikel betrachten. During the (2. world-) war, many of the members of the broadcasting industry who were with the Armed Services, had an opportunity to familiarize themselves with the potentialities and the limitations of magnetic wire recorders. Since the war, wire recorders have become (or are about to become) generally available for various applications. These include combination radio-recorders for the home, office dictation machines, recorded music for reproduction in trains, and both fixed and portable equipment intended for broadcast application. Große Probleme mit den "wire recorders"
Although magnetic wire recorders are very satisfactory for many uses, they have limitations when it comes to meticulous, professional applications. For example, unless the wire is contained in plug-in type magazines, annoying (and sometimes disastrous) wire snarls are likely to be encountered, as anyone who has ever handled a wire recorded is well aware. Even if one has the patience - and good luck - to be able to disentangle one of these "bird nests" it will be found that the wire has been weakened where bent too sharply and before long a break occurs, together with another wire (and personal) snarl. The problem of flutter, caused by spurious speed variations of the driving mechanism, can be readily overcome in wire recorders. On the other hand, absolute speed accuracy is not simple to achieve. For broadcasting applications, it is generally considered desirable to be able to achieve an absolute speed that does not deviate from correct timing by more than 0.25%. That is, a recording exactly one-half hour in length should play back within 5 seconds of the time of the original performance. Accuracies of this order are quite likely to be difficult, if not impossible, to achieve with the usual types of wire driving mechanisms. The value of magnetic recorders in broadcasting is not generally appreciated. In this article, the author describes many of the more useful applications of this equipment in this type of service. Anmerkung : Das war eine zu pauschale anfängliche Aussage, weil damals noch Magnet-Draht und Magnet-Band in einen Topf geworfen wurden. Recorders making use of a paper- or plastic-base magnetic material, are inherently capable of overcoming practically all of the shortcomings of wire recorders. Magnetic tape recorders, employing a steel tape at first and later both paper and plastic tapes coated with magnetic material, were first placed in regular broadcasting service in Europe. Prior to the war, steel tape recorders were used rather extensively both in Great Britain and on the Continent. Although some machines employing steel tape were manufactured in this country, they were never used to any extent except possibly for voice-training purposes. The drawbacks of the steel tape are similar to those of magnetic wire except there is no twisting of the tape, of course, and high-quality recording is practical. Magnetic wire recording, from a home application viewpoint at least, has another serious limitation. The cost of the raw material itself - the magnetic wire - is much too high to encourage very many persons to keep on hand a large supply of reels containing favorite recordings. Presentday prices are in the vicinity of $10.00 for sufficient wire for an hour's recording (at a speed that provides a medium tonal range), and the most optimistic have not forecast a decrease in this price of more than 50%. Finally (and perhaps most important from a professional application viewpoint) when it comes to editing recorded material, the draw-backs of magnetic wire are just about as serious as for disc recordings. There just isn't any simple way to do it. Although a "paper-base" magnetic tape was available in Germany during the war, an independent development program was undertaken in this country under an NDRC (National Defense Research Committee) contract. Anmerkung : Die AEG und BASF hatten bereits 1941 Kunststoffbänder. The objective, and the final result, was the development of a paper-base magnetic material, having magnetic properties equal to or better than the best available steel tape. This development was successfully completed just about the time the war ended. Anmerkung : Das ist wieder mal purer amerikanischer Lokalpatriotismus - das Projekt bei der "Brush Development" ist total schief gelaufen, weil Papier das falsche Trägermaterial war und der Entwickler, der Deutsche Samuel Beghun keinen Kontakt mehr nach Deutschland hatte. Dort hatte man bereits 1936 mit Kunststoff-Bandmaterial begonnen. Begun war aber breits 1935 nach Amerika geflohen. Und 3M wurde erst 1947 von Ampex beauftragt, ein vernünftiges Bandmaterial zu entwickeln, als der Ingenieur und Major Jack Mullin den Künstler Bing Crosby von der Qualität des Bandgerätes an sich überzeugt hatte. Das Bandgerät von BRUSH und auch das erste von Ranger war schon vorher mangels Qualität in der Versenkung verschwunden. As contrasted to other forms of magnetic recording material, a paper or plastic-base tape has many advantages. From a broadcasting viewpoint, perhaps the most important of these is the ability to cut and splice the tape. This provides an unexcelled opportunity to broadcast material otherwise unacceptable. Anmerkung : Der nachfolgende Absatz ist nirgendwo hinterlegt. Alle Aufnahmen von 1946 wurden auf Platte geschnitten, weil der Autor von "splicing" spricht. For example during the 1946 New York State political conventions, CBS recorded the entire day- and night-long proceedings. Upon the completion of a day's recording, the material was reviewed and the highlights of the meeting spliced together into one interesting fast-moving program. This material, with just enough of the atmosphere (but without the interminable delays, roll-calls and other extraneous proceedings of any large meeting) was then broadcast locally. Within the space of single program periods, the radio audience was thus enabled to hear all the important speeches and transactions of the day. The recording, the editing, and the broadcasting were on the scene with portable equipment. This seems to be the most feasible method of bringing this interesting program material to the broadcast listener. A number of potential similar applications will immediately suggest themselves to every broadcaster. Anmerkung : "portable equipment" waren transportable Plattenschneidmaschinen. In the simplest form, splicing of magnetic tape can be accomplished with a pair of scissors and a roll of scotch tape, Fig. 1. For more speedy splices a modified 8mm film splicer is a great assistance. Of no small importance, in connection with splicing magnetic tape, is the fact that it is practically free of handling difficulties. A reel can be dropped to the floor or otherwise mishandled without fear of hopeless tangles of tape. The ease with which tape may be handled also lends itself to rapid rewind. For example, in a relatively simple type of recorder intended for home use, a rewind speed of approximately 60 to 1 has been achieved. That is, a one-half hour recording can be rewound in about 30 seconds. Electronic and mechanical possibilities immediately suggest themselves for tape recording machines. For example, with plastic-base tape, consideration may be given to the use of perforations, as used for 8mm movies. A sprocket drive employing conventional arrangements can provide exact synchronism, of course. These and other systems not requiring perforations lend themselves to accurate absolute speed operation. Just as with magnetic wire, tape may be used over and over again. As a matter of fact, it is for applications where a permanent record is not required that magnetic recording is at its best from the economic viewpoint. On the other hand, the cost of paper-base tape promises to be sufficiently low so that it can be given consideration for those applications where a recording is to be retained for a considerable length of time. Even though machines have not yet become available on a widespread basis for utilizing paper tape, the cost for the material is already down to about one-fifth of magnetic wire costs - the comparison being made on the basis of a tape and a wire speed that results in comparable quality. There is every reason to believe that even lower costs can be expected for the paper tape. Anmerkung : Oben wird immer noch die Draht-Qualität mit der Papier-Band-Qualität (von Brusch oder Ranger) als vergleichbar bezeichnet. Das wiederum bedeutet, daß auf der amerikanischen Ostseite (New York) im Mai 1947 die deutschen Jack Mullin Geräte (AEG K4) mit der HF Vormagnetisierung noch gar nicht bekannt gewesen sein müssen. So weit waren diese Staaten auseinander. Oder aber der Redakteur wußte es damals (Mai 1947) nicht besser. Nachtrag : Die HF-Vormagnetisierung wurde bereits im Nov. 1945 in dem Inteligence Report genauestens beschrieben. Das konnte also jeder interessierte Ingenieur nachlesen. Auch gab es einen Vortrag mit Vorführung in Washington D.C. im Nov. 1946, bei dem ein AEG K4 mit HF Vormagnetisierung vorgestellt wurde. Aufnahmen auf Papierband archivieren ???? Cost considerations (together with others') will determine whether a paper or a plastic base should be used for a given application. One of the great advantages of a magnetic material is the ability to erase the recording, after it has served its purpose, and to re-use the recording medium. Temporary recordings of this type (particularly if they are likely to be subject to considerable editing by splicing) can perhaps be made most economically on a paper-base tape. As a matter of fact, even recordings that are to be kept for several years may well be made on a paper tape in order to keep the investment in tape at a minimum. Anmerkung : Das war natürlich mit "Nichtwissen" nachgeplappert, denn gerade die Papierbänder waren extrem kurzlebig bei Feuchtigkeit. Das hat bei der AEG 1935 fast zum Abbruch der Forschung geführt. Also "mehrere Jahre" war ein Wunschdenken. On the other hand, for applications where the recordings are of a documentary nature and are to be preserved for an exceedingly long time, it may be advantageous to make use of a plastic-base tape. The cost of such tape will be greater than for a paper-base tape and the needs of the application in hand must justify the additional expense. Among the other factors that must be considered in selecting the type of tape is the matter of tape elongation or stretch. If no special means (timing marks, sprocket holes, etc.) are employer for obtaining high absolute-speed accuracy, then the tape whose length is most stable with changes in temperature, humidity and time, will provide the best absolute-speed accuracy, all other factors being equal. One type of plastic tape was developed in Germany that, at first glance, seems to have many advantages. It consists of a plastic in which the magnetic material is impregnated - that is, uniformly distributed throughout the material. With a tape of this type, the magnetic material is held with a better bond then when simply coated upon the surface of a carrier or base. It has been found, however, that tape of this type is subject to magnetic "leakage" from layer to layer. This phenomenon is most readily detectable when a fully modulated signal is recorded on this type of tape, with un-recorded tape immediately before and immediately after the recording. Upon spooling the tape in the usual manner, the recorded signal impresses a magnetic image of itself upon the layers of tape immediately above and immediately below the layer containing the signal. *1) The author is indebted to Colonel Richard H. Ranger of Rangertone Inc. for calling this phenomenon to his attention and to Mr. George Graham of the National Broadcasting Company, for the measurements on the German tape. A similar test made with a coated paper-base tape of American manufacture did not result in any measurable echo, even on the immediately adjacent layer although a weak signal was discernible in the background noise of the adjacent layers. The second layer away from the original recording contained no evidence whatsoever of an echo. At the present time (May 1947) is only one magnetic tape recorder being manufactured in this country although plans are being made by several companies to enter the field. Anmerkung : Irgend etwas stimmt da nicht. Warum wußte der Autor im Mai 1947 nichts von dem BRUSH Soundmirror, der auch bereits produziert wurde. 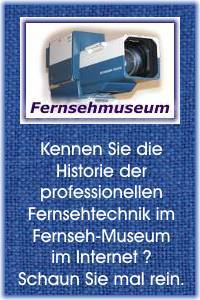 Wir wissen, daß das Ampex A200 Gerät noch in der Entwicklung war. Bing Crosby konnte weder mit der Brush noch mit der Ranger Qualität arbeiten, die auf Schallplatten-Niveau lag. The unit that is available, Fig. 2, was designed in its entirely after V-J day and, in spite of material procurement problems, is already in production. Although this recorder was primarily intended for the home-recorder market, it is of considerable interest to the broadcasting industry as a demonstration of the features of magnetic tape recording. Its performance capabilities are such that it may be used to advantage for many broadcast applications until professional-model recorders become available. make and reproduce recordings. These include amplifiers, drive, take-up and rewind motors, supersonic bias and erase generator, erase and combination record-playback head, operating controls and a playback and monitoring loudspeaker. The size and external appearance of the unit is similar to a couvential table-model phonograph. The various operations of recording, rewinding and playback are controlled by push-buttons. In order to guard against accidental erasing of recorded material, two particular push-buttons must be depressed simultaneously before a new recording can be made (the erasing head immediately proceeds the recording head and is energized only when the controls are in the position). The Rangertone tape recorder, currently in the development stage, is intended for professional recording applications. It is planned to use 14-inch diameter reels accommodating enough magnetic tape for one-half hour of recording at a tape speed of 30 inches per second. The erase, record and playback heads are contained in a plug-in assembly that facilitates maintenance and replacement. Pushbutton control provides for record, rewind, playback and stop functions. The white dial in the center of the top panel is a running time indicator (footage counter) that is of considerable value in "cueing" recordings. Magnetic tape, having a paper or a plastic base, can be readily edited by taking out or adding lengths ot tape as desired. A button-joint splice is made by joining the two ends (Fig. 1A, left) and placing a small piece of clear scotch tape on the back (uncoated side) of the magnetic tape (Fig. 1B). The excess Scotch tape is then trimmed with a scissors (Fig. 1C, right) so that it is no wider than the original magnetic tape. A splice made in this manner will not add any spurious noise to the reproduction. For professional applications a modified 8mm film splicer makes it possible to undertake the operation more expeditiously. Fig. 2. The Brush EK-401 Soundmirror is a magnetic tape recorder having the general size and appearance of a conventional table-model phonograph. It is a complete recorder and reproducer and is capable of one-half hour of continuous operation. Recordings can be made from the microphone provided with the unit, from a radio receiver or any other source of audio signals. Convenient controls are provided to perform the various operations. The reels, which are 7 inches in diameter accommodate 1250 feet of 1/4 inch wide, paper-base magnetic tape. microphones (M) or other low-level audio source and the other (E1) for somewhat higher-level sources. Fig. 4. This simplified functional diagram shows the general alignment of the circuits during recording (Fig. 4A) and during reproducing (Fig. 4B. right). In recording both low- and high frequency preemphasis is introduced in the VT-2(A) and the VT-3 stages. Also, the reproducing channel acts as a monitoring loudspeaker channel and is provided with its own volume control. During playback, the plate voltage is removed from the supersonic bias generator and amplifiers and from the VT-3 amplifier stage. In addition, the recording coil is reconnected to serve as the pickup coil. The reproducing tone control provides an adjustable high-frequency roll-off, while low frequency post-emphasis is introduced in the VT-2(B) stage.